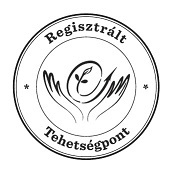 The comptetion is open for Hungarian and non Hungarian competitors between the age of 6-19 years. Nomination can be submitted with video records. Talent research, talennt support, competition. Childrens are awareded for their performance based on the decision of a jury, including welll known specialists. We are waiting for the application of small children as well. Both beginner and intermediate level pianists can apply. The training teachers, parents can nominate the children at home, in comfortable conditions. Program of the competion is free of choice! It is recommended to select one classical performence. Evaluation matters: Method of performance, sound clearance, sound formation, tone, rhytm, tempo keeping, musical fidelity, technical safety, style knowledge. IMPORTANT! The composition should be performed without sheet music in case of individual performance. Usage a sheet music should mean a restriction from the competition! Sheet of music is allowed only in four hands category. IMPORTANT!!! On the records the competitor must see! Please take into account the compulsory time for the age groups. Otherwise deduction from the points is possible. * Special prices: Jury can vote gifts during the competition for the competitors with excellent performance. 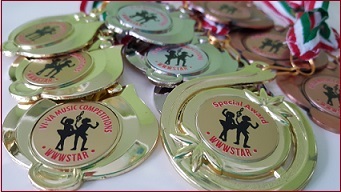 The teacher whose students receive the the most Gold and Silver Medals will receive the teacher's special price! The Diplomas will be forwarded by email. The Awards will be forwarded by post. The video record should be made with one camera stand without cut! The hand of the competitor should be visible during the play! We can not accept video record made in other competition, competitor can be nominated with a video record in a pre described format! Please upload the video to own google drive. Please do not sedn the video records to our e-mail address. The application is valid only with an online video record. The video file can also be uploaded to youtube. In this case please send the linc of the re.cord with the application form. Please send the application form to the e-mail address of viva.wwwstar@gmail.com. Please indicate on the nomination form the exact path location of the record (google drive address or youtube linc). The nomination form can be downloaded. Registration fee DEADLINE : 2019.04.19. The nominator takes responsibility for the validity of the performance. In case of abuse could lead to jurisdicial consequences (if the nomination is note done with own performance), furthermore the awards should be returned to the event organiser. The event organiser keep the right to collect and connect age groups or to cancel the competion in and age group if less than 5 perfomeances are nominated in the age group. The jury is nominated by the event organiser foundation. The jury qulify the productions based on general terms and rules, taking into account the respective guidelines!A The jury may decide not allocating award in a category if the competitors shows underperfoming results. If there is no absolute winner in a category the jury may decide to give a price to other competitor, production. During the competition only those productions will be evaluated which meet with the criteria of the competition. 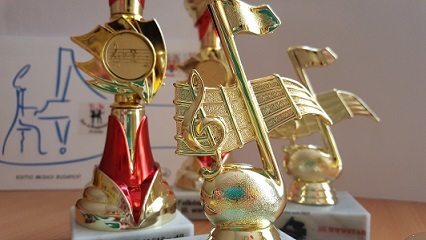 Organiser reserves the right to check especially: the quality of the music-sound, furthermore the age of the competitor together with the content of the production and the dress of the competitor. Productions which do not meet with the aim of the contest can be disqualified. 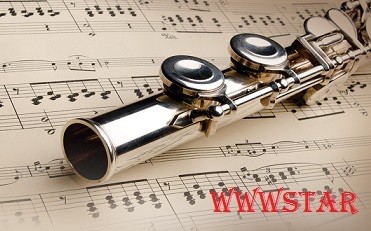 In “MUSIC” category only those productions can be applied which are paid without sheet of music. Using a sheet of music leads to a disqualification! Organiser do not held any responsibility regarding the content of the uploaded video files, it can be uploaded and applied by the competitor on own responsibility. The validity and the origin of the video file is the responsibility of the applicant. With the application the applicant approves that the organiser introduce the result of the competition on the webpage of wwwstar.hu. The content of the application webpage-including graphics, texts remain the ownership of VI-VA Music and Dance of Art Foundation and subject to copyright defense. Using, copying, publishing the content of the webpage is strictly forbidden, and subject to civil and criminal acts. The content of the nomination, the video files and other information will be handled by the organiser on a confidential way. If necessary the organiser held the right to change the rules of the contest. "First Steps": 2012.01.01. - 2012.12.31. 'A' cat. : 2009.01.01 - 2011.12.31. 'B' cat. : 2006.01.01. - 2008.12.31. 'C' cat. : 2003.01.01. - 2005.12.31. 'D' cat: 2000.01.01. - 2002.12.31.